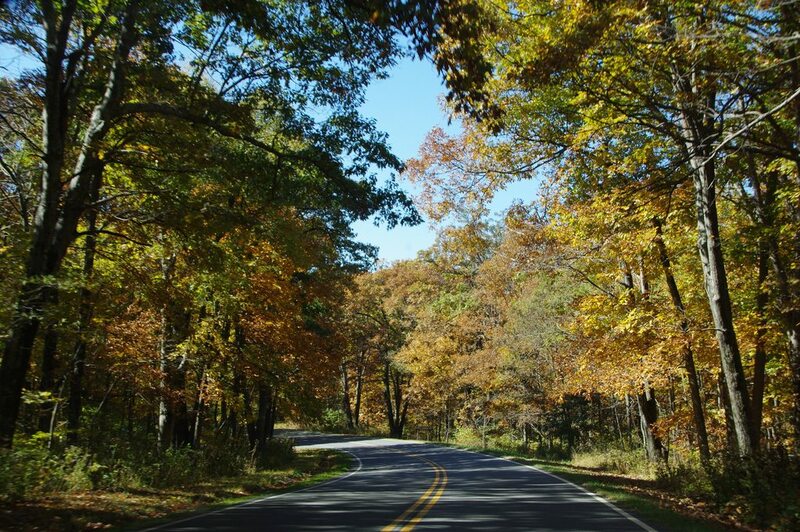 Skyline drive was beautiful, and there were trees everywhere. 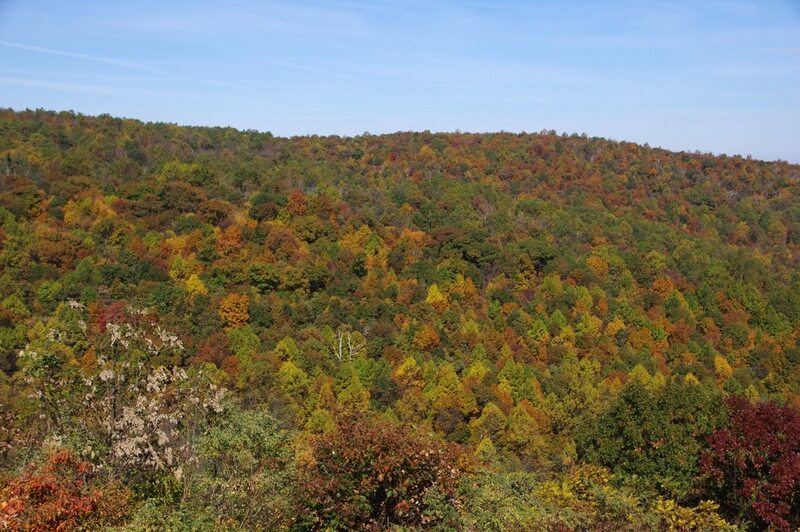 We got there at just about the right time to be able to see trees changing colors along the entire drive. 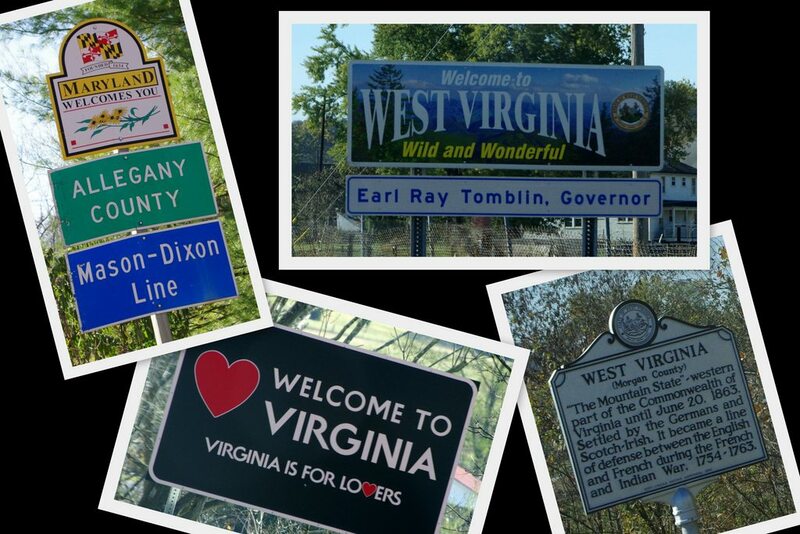 Skyline drive is definitely photographer-friendly, as there are tons of places to pull over one the side of the road. 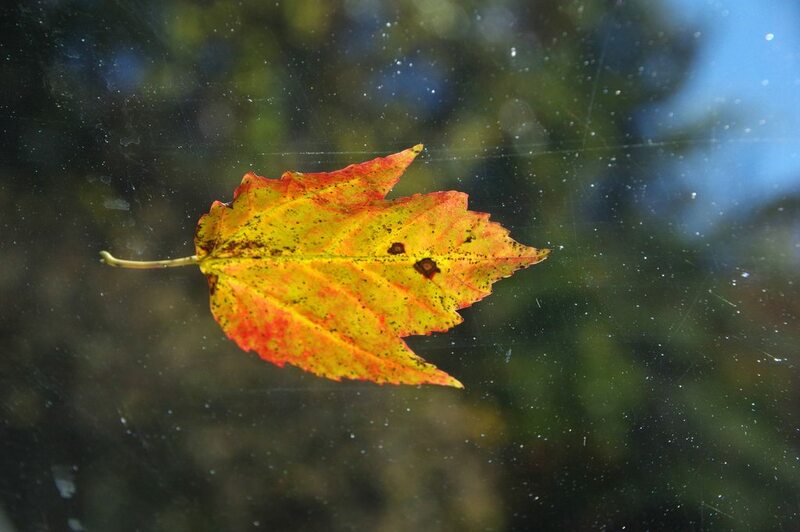 We stopped at countless pull-overs to get out, take in the scenery, and snap a few photographs. 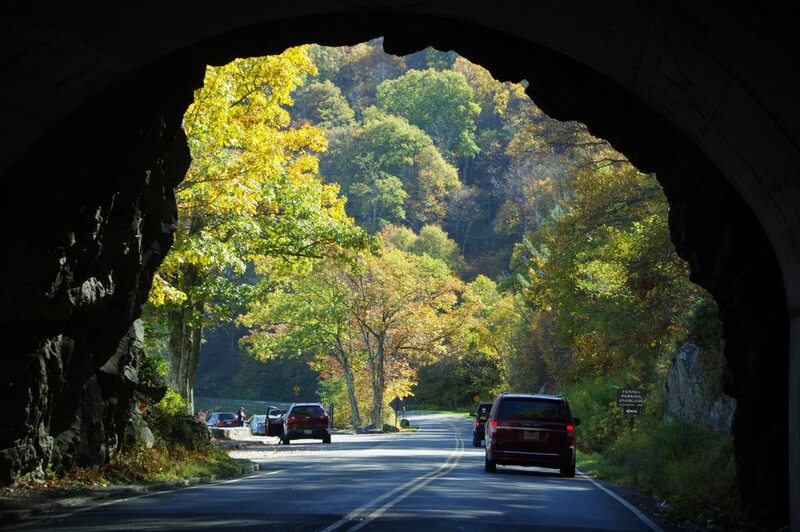 Mary’s Rock Tunnel was constructed in 1932 and is considered to be one of the great engineering feats of Shenandoah National Park. 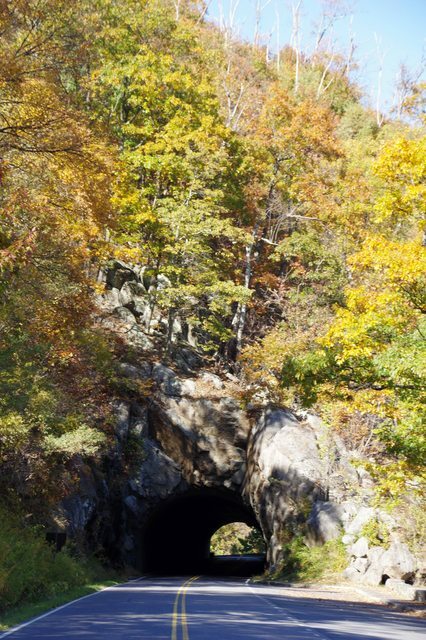 It is 610 feet long — which means that the men who built the tunnel bore and blasted through 610 feet of dense granite to construct the tunnel. Oh, what back-breaking labor the construction of this tunnel must have required! 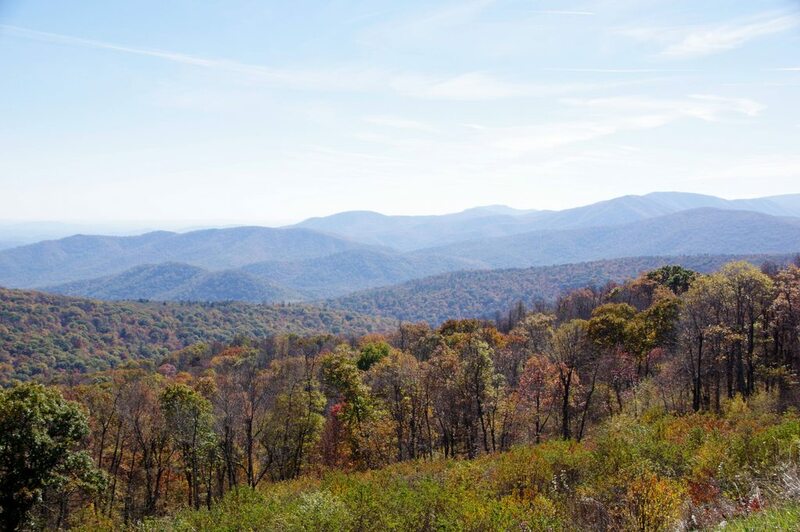 In addition to beautiful trees, Skyline Drive also offers great views of the Blueridge Mountains. 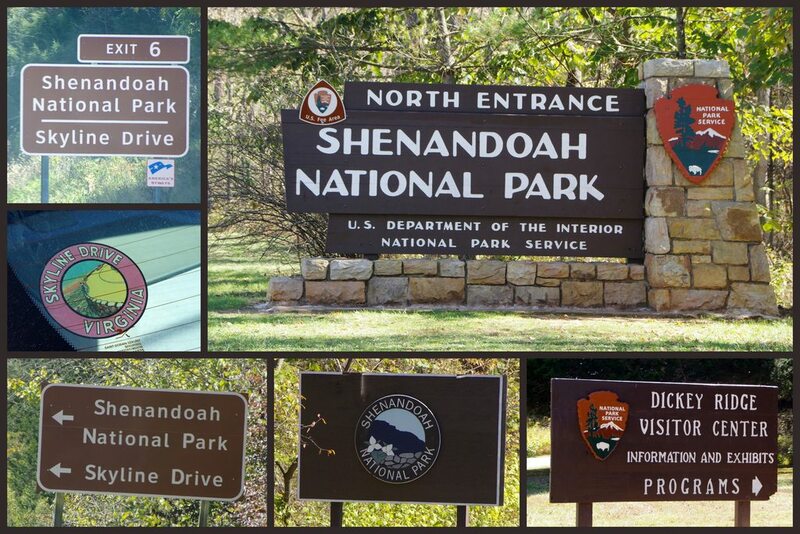 My intent is for this post to serve as an introductory post to Shenandoah National Park. I’m going to make a few additional posts that will cover the trails that we hiked in the park, as well as the gorgeous sunset that we got to watch on our first day in the park.